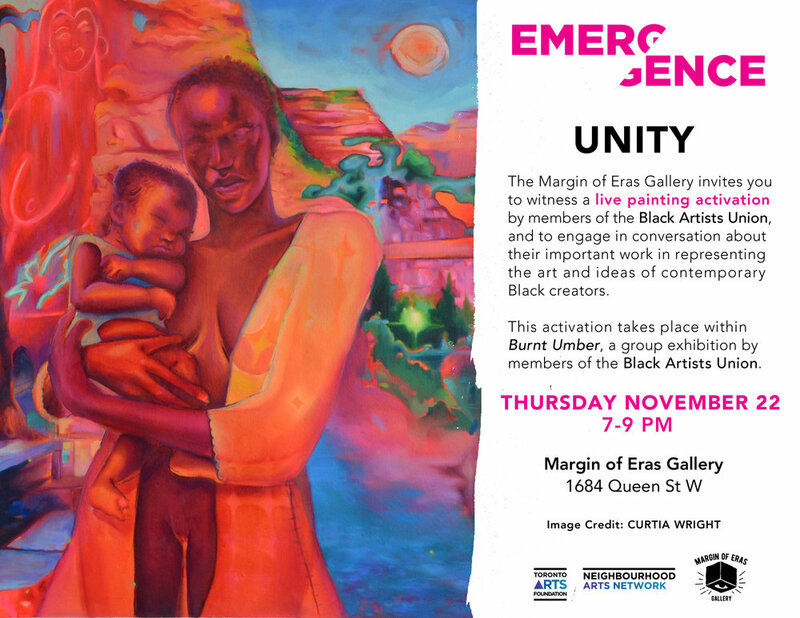 Presented in partnership with CUE and Neighbourhood Arts Network, the Margin of Eras Gallery invites to you witness a live painting activation by members of the Black Artists’ Union (BAU Collective), and to engage in conversation about the importance of work in representing the art and ideas of contemporary Black creators. This activation takes place inside Burnt Umber, a group exhibition by the Black Artists’ Union. This Thursday's live painting event with BAU Collective will be open bar — free wine + snacks will be provided!